Houston Rockets star James Harden notched at least 30 points for the 17th straight NBA game. James Harden is on an impressive tear and he broke one of Kobe Bryant's NBA records on Monday. Harden topped Bryant's record for most consecutive games with at least 30 points when he tallied 57 in a 112-94 win for the Rockets over the Memphis Grizzlies. This marked Harden's 17th straight game with at least 30 points. He also scored a Rockets record 36 points in the first half of the victory. The Rockets have won eight of their last 10 games. 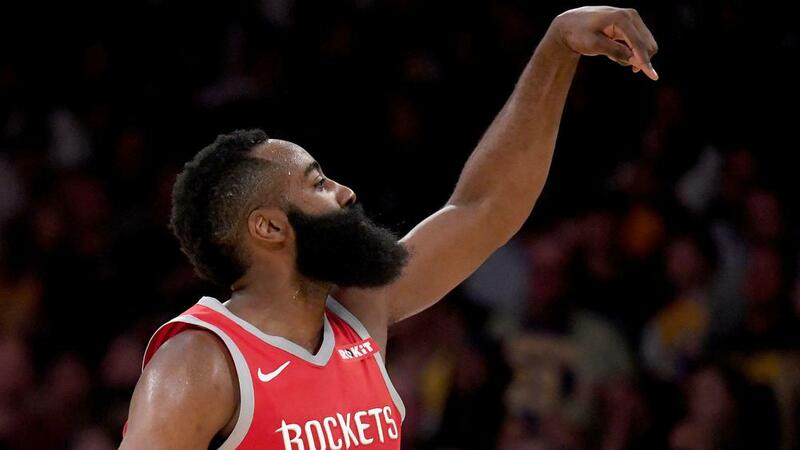 Despite being without Clint Capela, Chris Paul and Eric Gordon, Harden thrived, recording his third 50-point game of the season. The reigning MVP has established himself as a contender to take the award home again this year with his stellar offensive performances. Harden leads the league in scoring, averaging 34.8 points while also tallying 6.3 rebounds and 8.6 assists per game. Houston improved to 25-18 and sit in fourth place in the Western Conference. The Rockets will face the Brooklyn Nets on Wednesday.